These are two detached houses. 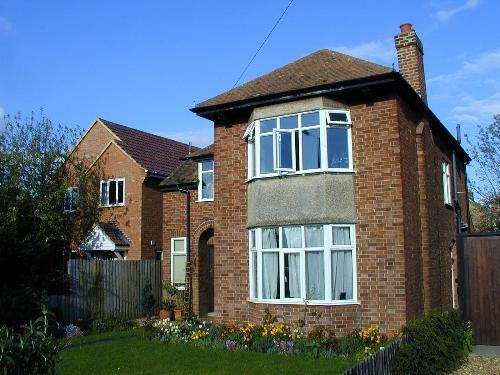 The house on the right (1930s) had a generous side garden, which in the late 1990s was converted into a plot for the house on the left, with hardly any space in between the two. Unfortunately the local government allows this kind of development and as a result it is almost forced upon people with such plots, since the property would be valued taking this possibility into account. The only safe garden is one with no access.